The White Hart is a traditional family run English free house pub with accommodation, located close to the marketplace in the heart of Caistor, Lincolnshire. Caistor is situated on the Viking Way which is a popular destination for walkers wishing to explore the beautiful Lincolnshire Wolds. Only twenty minutes’ drive from Grimsby (A46) and fifteen minutes away from Humberside Airport and the M180 motorway. We offer a relaxed, friendly village pub atmosphere with a wide range of home cooked meals including our famous Sunday Lunches. We also have three recently refurbished beautiful rooms and offer competitively priced accommodation. Up to 1936, the pub was only lit by town gas and candles and it wasn’t until 1945 that a serving bar was installed. 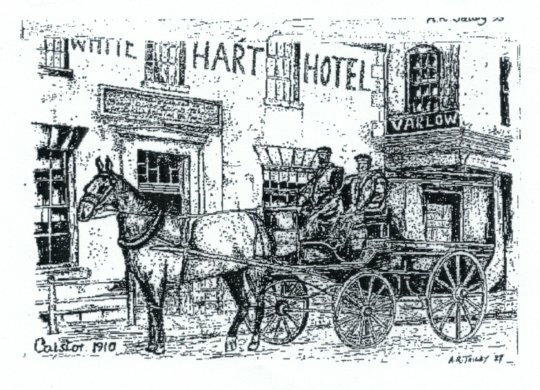 If the walls could talk you would hear the echoes of the late and famous character Alice Mary Browning who ran The White Hart, telling her stories and indeed listening to many a chatter over the bar from 1889-1902. The action outside would not consist of the occasional motorist driving past but the clip-clop of hooves pulling a cart delivering the Caistor post to all of its residences. Alice enjoyed many years at The White Hart and at the beginning of her role as pub landlady, she was serving the locals a pint of bitter for 5d. To mark her half-century as a licensee, Alice was awarded a silver tea set and tray at a champagne party, which had been arranged in her honour by John Smiths Brewery. 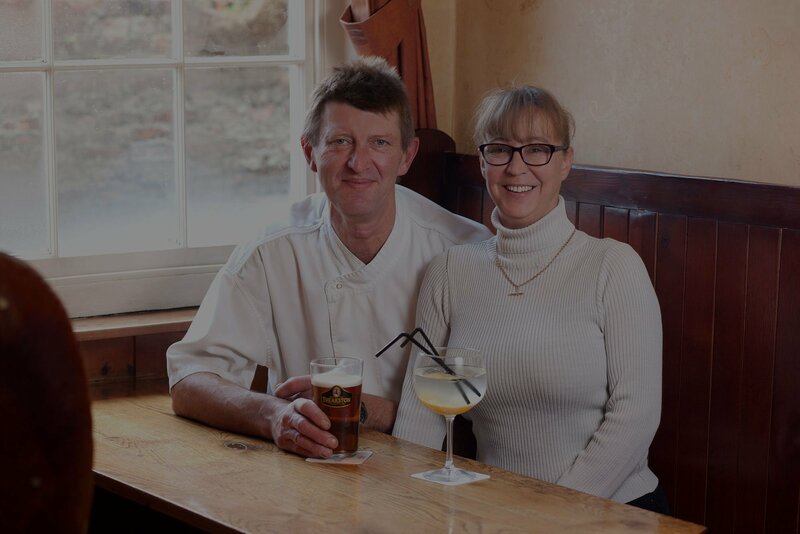 Richard Sandham took over the running of The White Hart in 1996, introducing his family’s delicious and exemplary culinary skills and bringing with him a wealth of experience within the licensing trade. 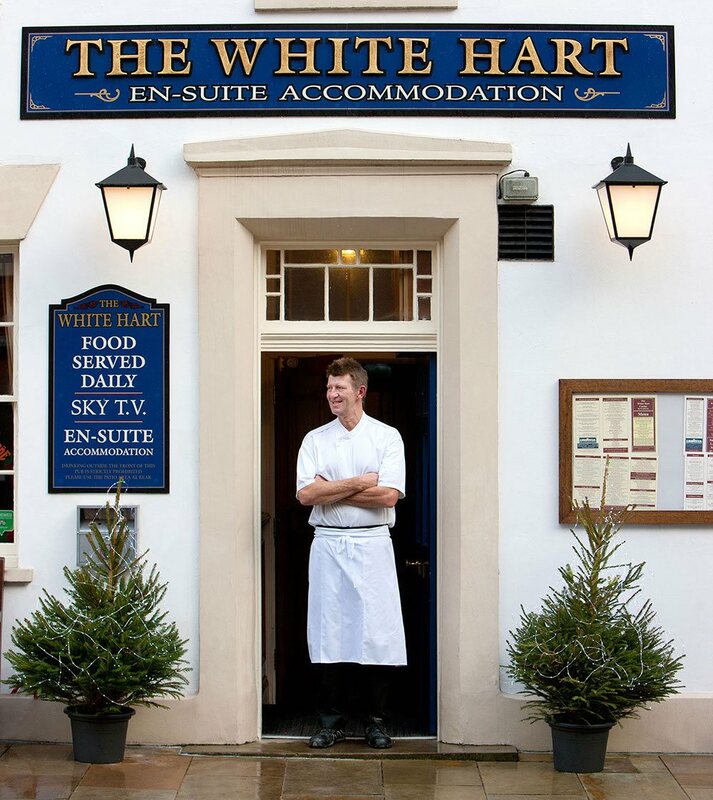 Today the White Hart celebrates its unspoilt traditional interior and feel whilst maintaining luxury modern accommodation. A fascinating history, a traditional feel, a modern outlook with a mouth-watering excellent selection of food and drink, catering for all ages.